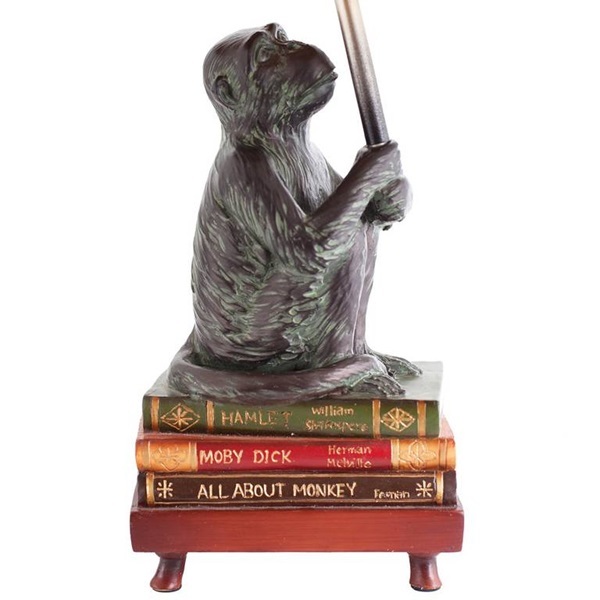 What a conversation piece! 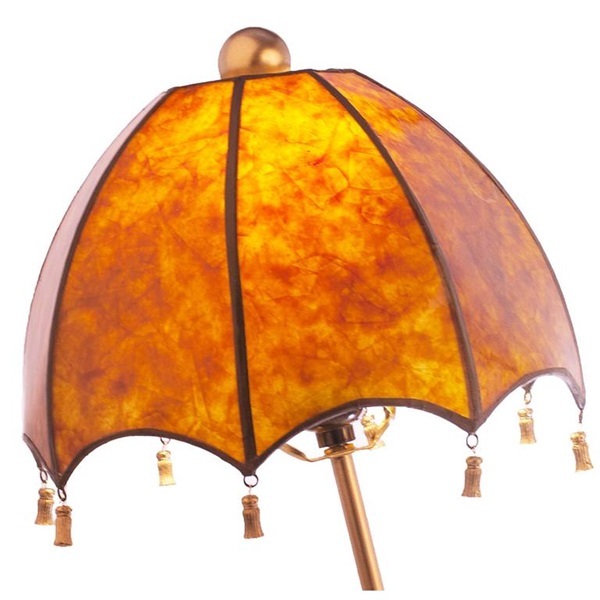 This adorable novelty lamp is the perfect unique accent for a study or living room. 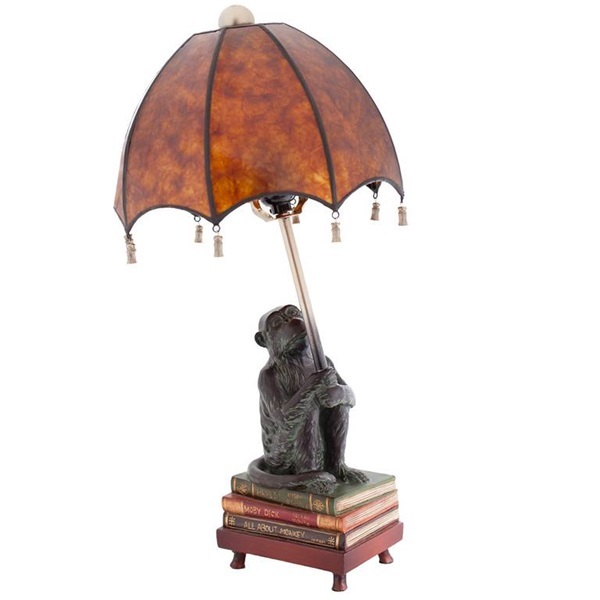 A very erudite creature, this monkey is sitting on well-known works of Shakespeare and Melville, keeping them dry with his real Mica umbrella. 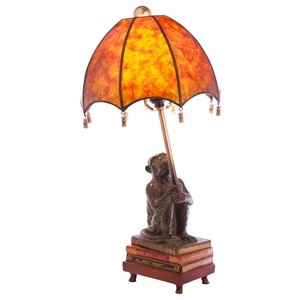 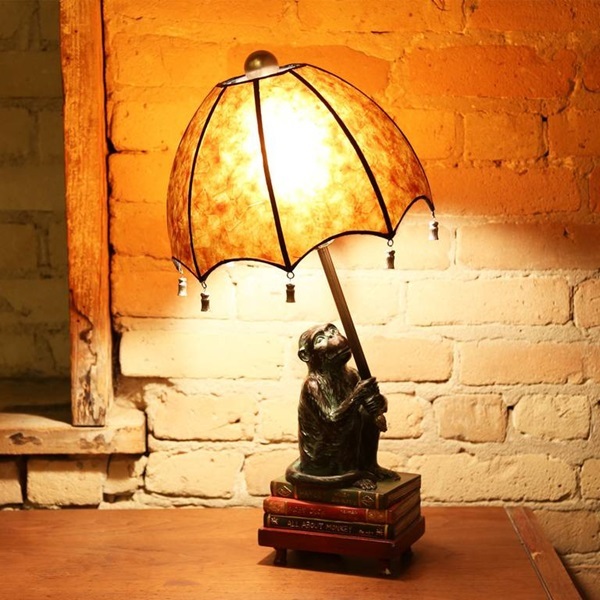 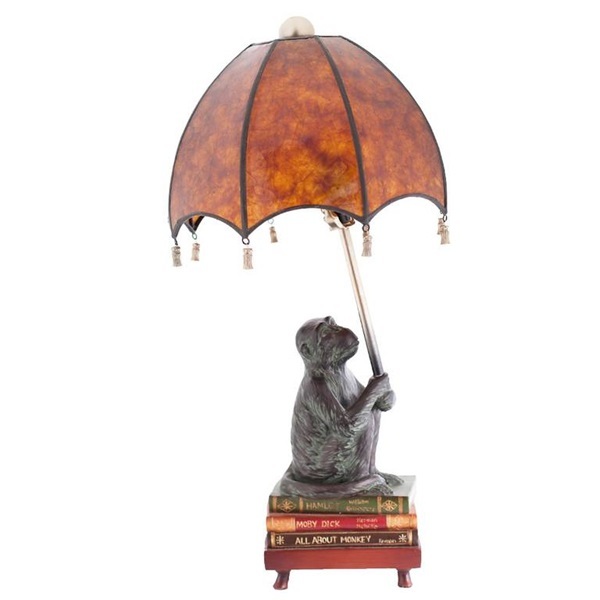 Perfect for any animal lover, book lover, or just someone who wants a lamp to make you chuckle.